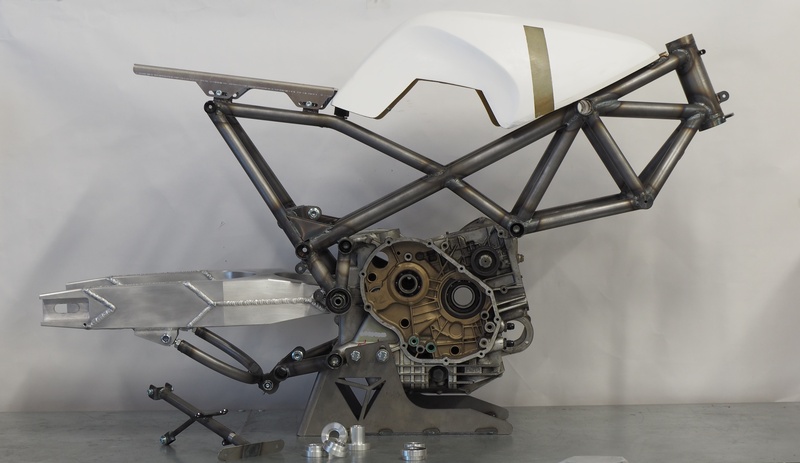 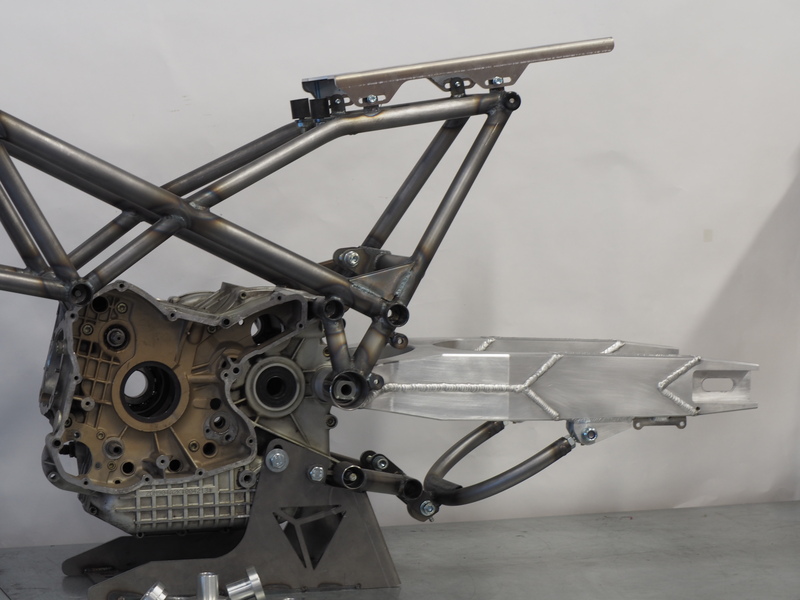 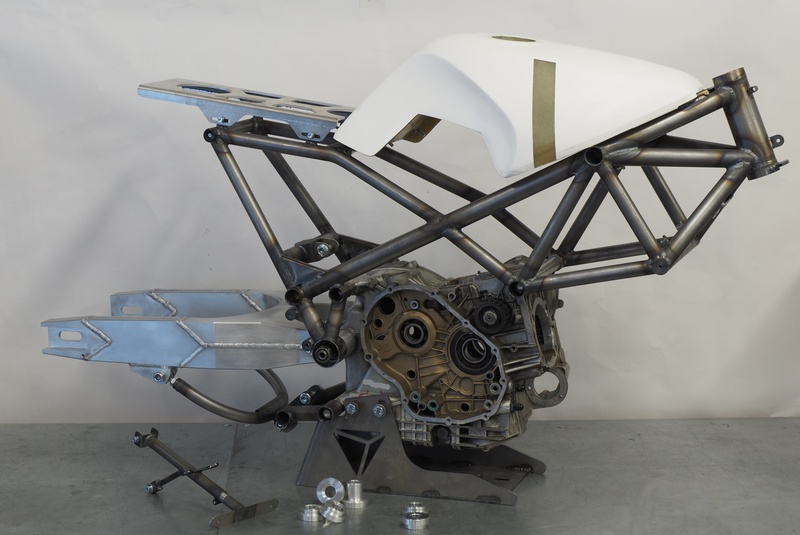 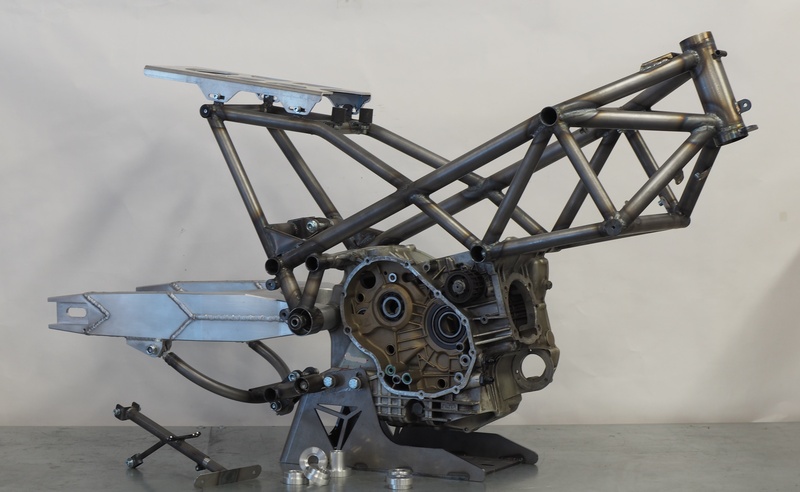 Replica frame from ´84 original designed by Antonio Cobas for Ricardo Fargas Racing team, Tecnoequip Fargas, called Tecfar. 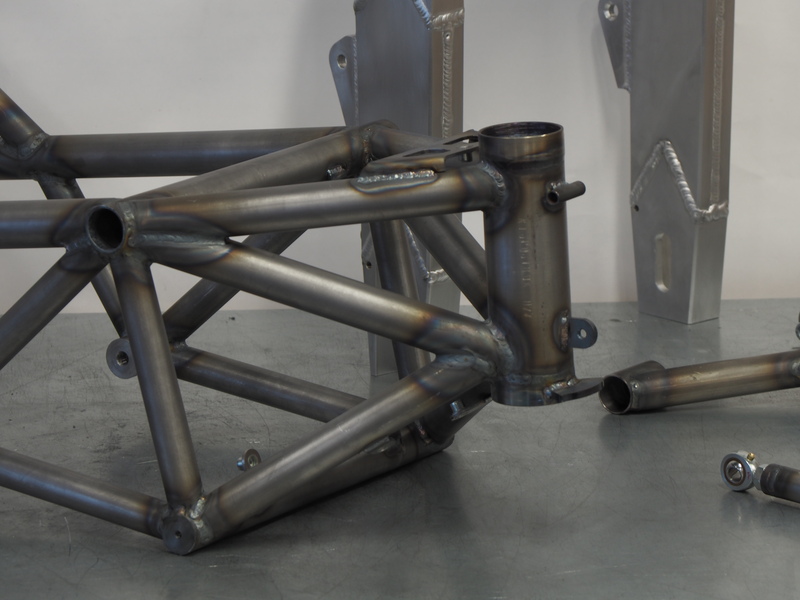 FEM optimized, made in high tensile steel and TIG welding, weighs 9.8kg with an extraordinary stiffness. 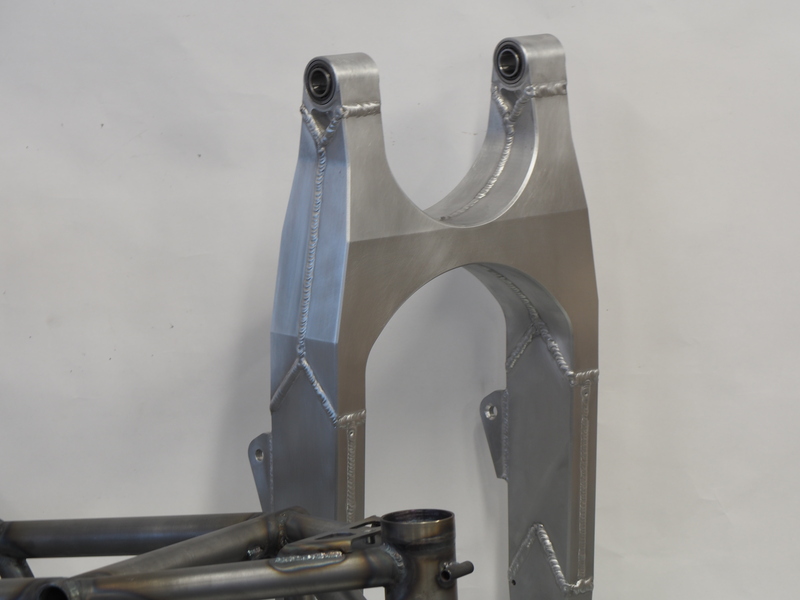 Rear suspension like original but adapted to exiting modern shocks. 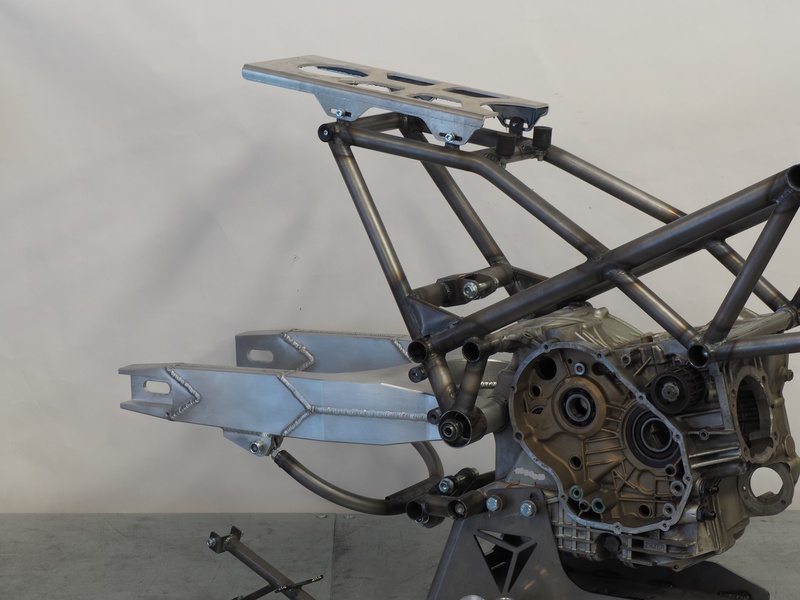 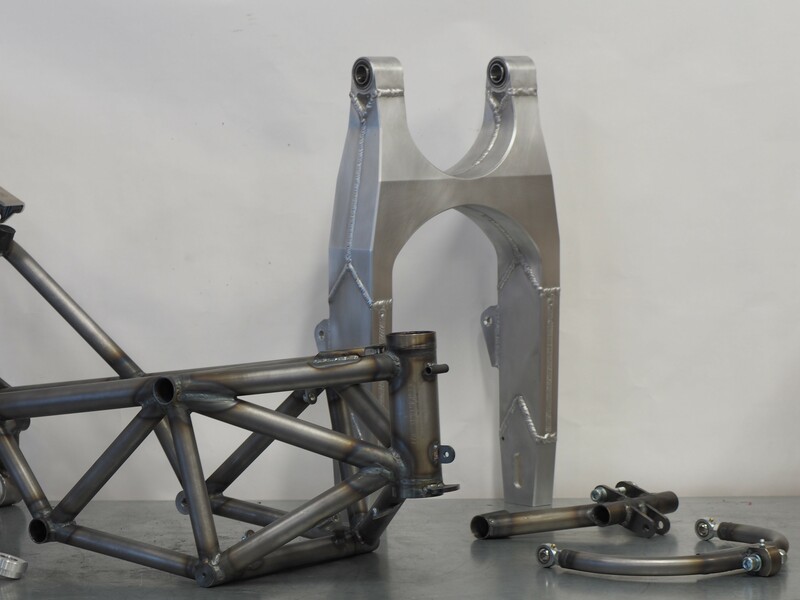 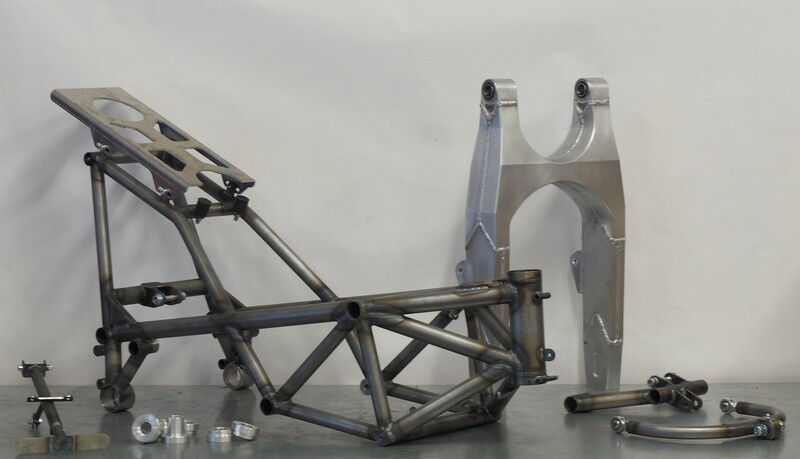 The swing arm is CNC machined from billet and weighs 4.2kg and use radial roll bearings and axial roll bearings to provide smooth and accurate operation. 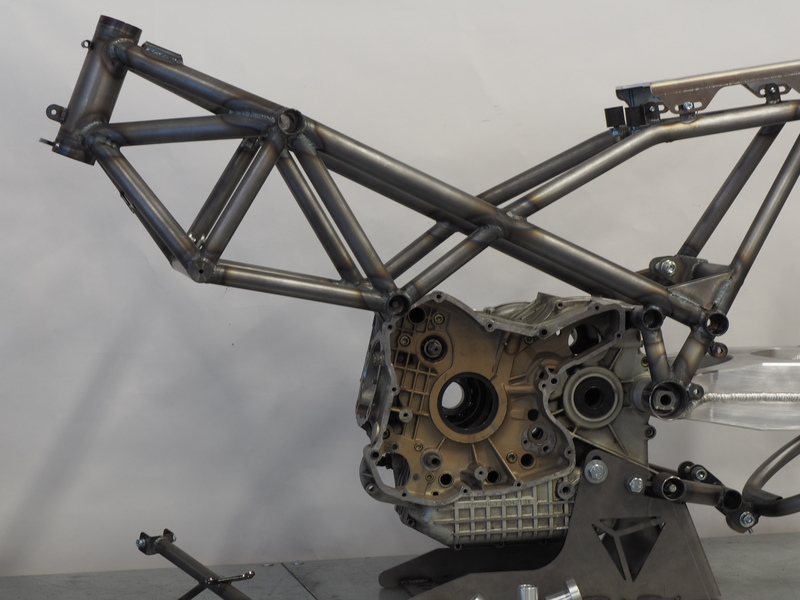 This frame kit admits Ducati Pantah type engines or some modern two valve engines, carburated or fuel injection. 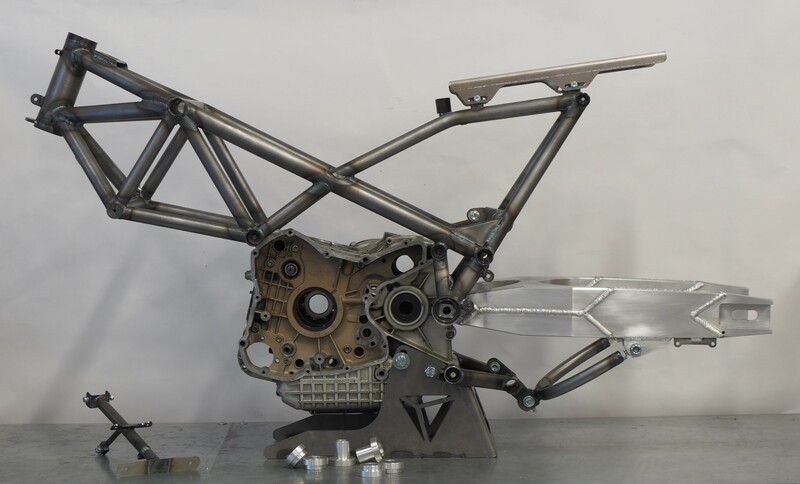 Vitesse declines any liability for improper use of the components, nor is it responsible for improper handling and / or assembly, modification of components or misuse. 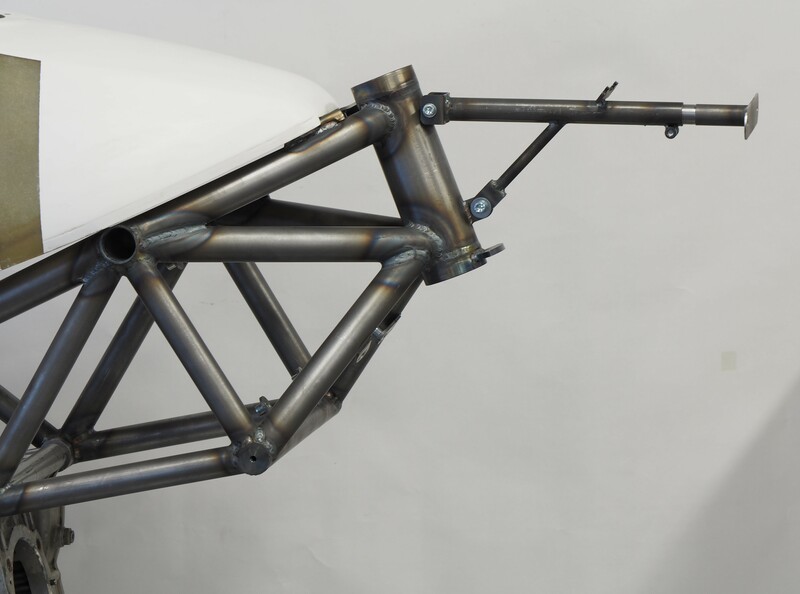 The components have been designed for exclusive use in road track and can not be used under any circumstances to drive on public roads.